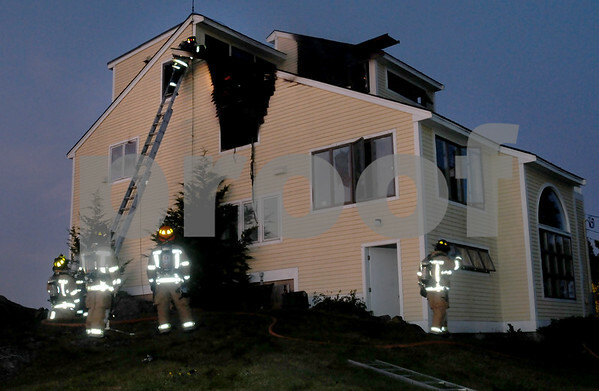 Newbury: A firefighter rips a piece of trim off the roof of this house on Pine Island Road in Newbury which caught fire last night. Several fire companies from surrounding towns responded the blaze which was quickly brought under control. Bryan Eaton/Staff Photo Newburyport News Tuesday September 9, 2009.